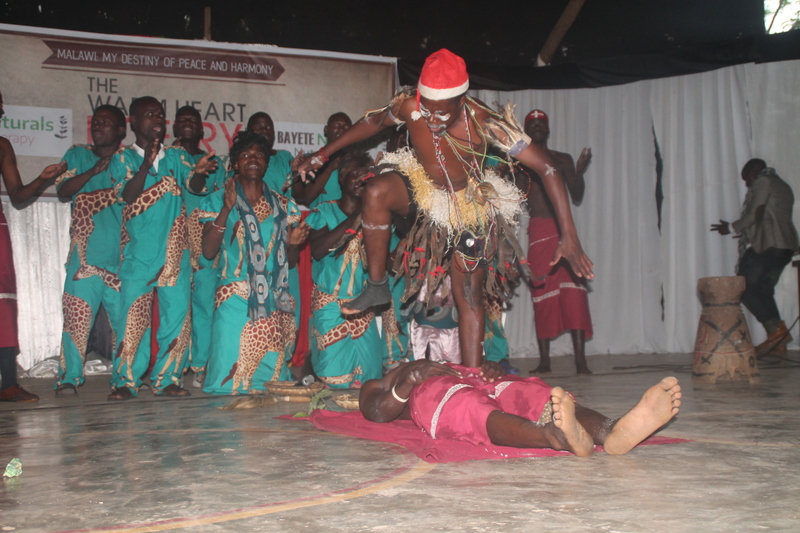 Had it not been for Chichiri Prison cultural group, the launch of ‘Warm Heart Poetry Festival’ would have soured at Blantyre cultural Centre on Sunday. Despite the event was well organised, the atmosphere was in slumber until female dancers, no were not! Male prisoners who were just in female costumes came to the stage to showcase their fantastic dancing skills. ‘Are they women? Look that one, no! Are all males’ the audience murmured in questions as they doubted their eyes if were making right judgement. 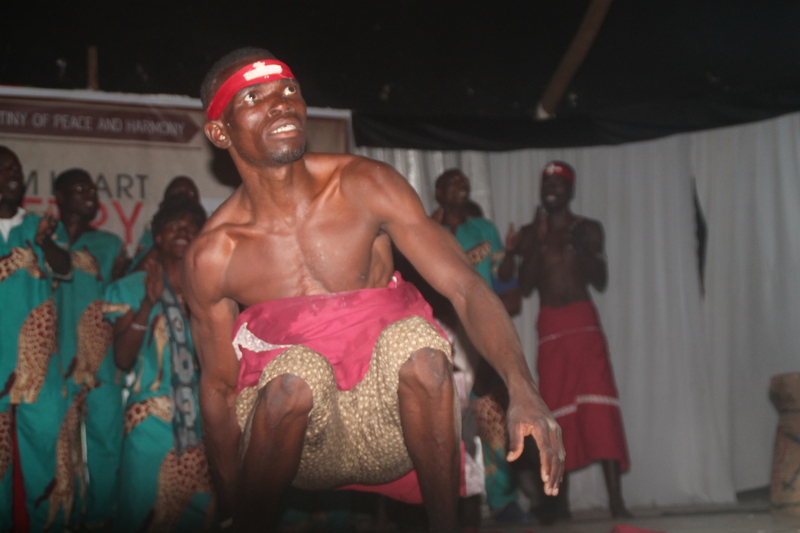 Before the stage was stolen by such amazing dancers, few turn-outs at the event were entertained by several poets, for instance, Ackson Ngalande recited ‘Nsewu’ in creative way that left audience going gaga. 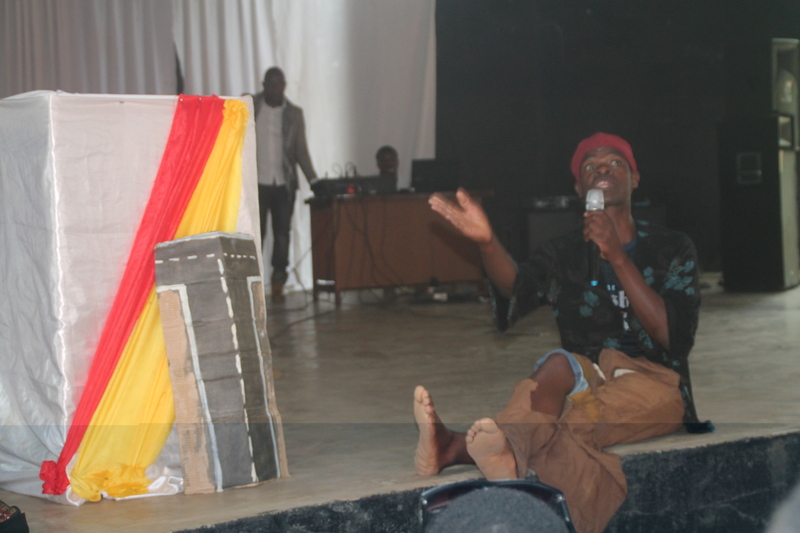 The cheerful noise from crowd went on nonstop through several poets likes of Sylvester Kalizang’oma, Mada Nyambo, Esnart Tambala, Ian Tambala and others took their recitals. The economic crisis, and persistent blackouts in the country were all attacked. 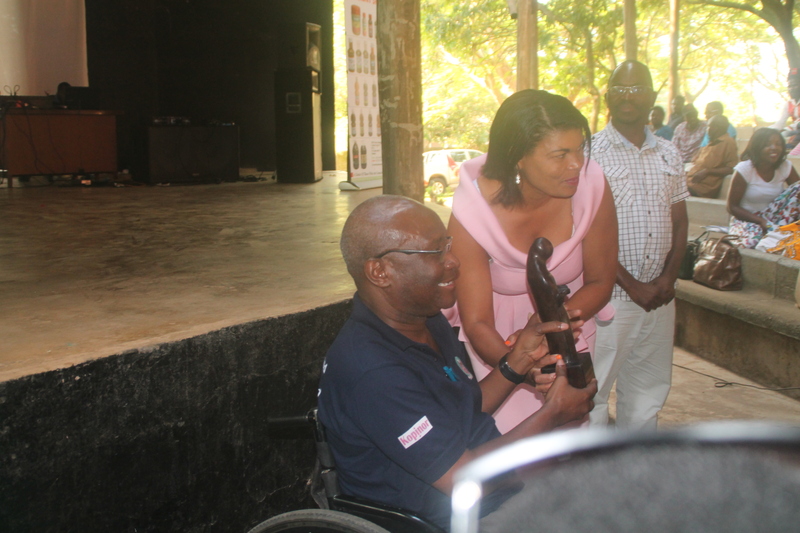 Veteran Alfred Msadala who recited ‘Ulendo’ received Lifetime Achiever’s Award, he was given k100, 000 cash and medal. ” I am really humbled and it has come as surprise to me. 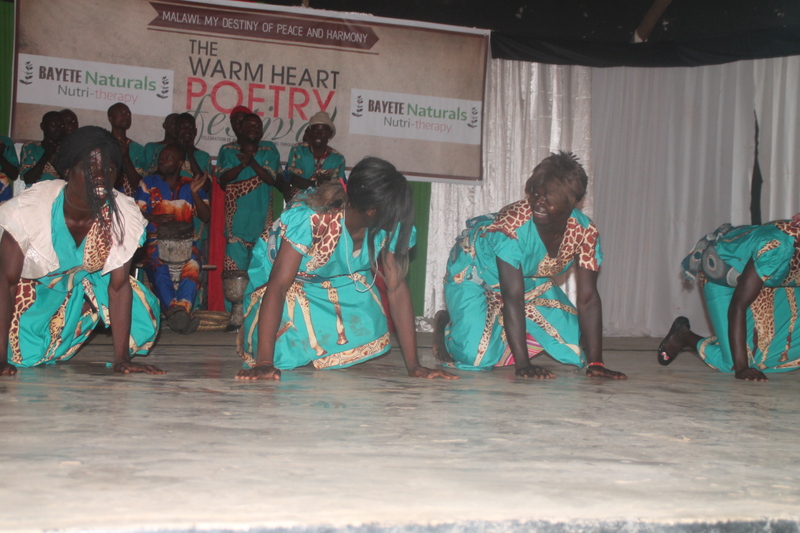 I didn’t expect my work in poetry would receive such recognition,” Msadala said in an interview. 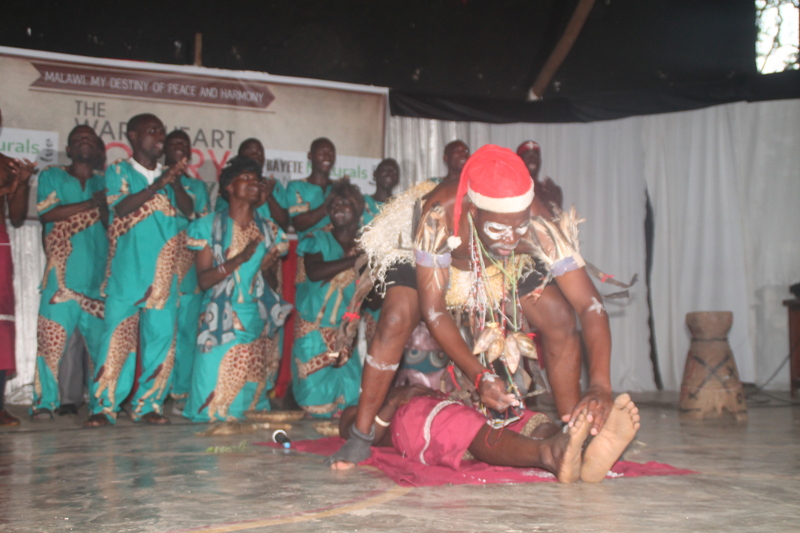 Before both stage and audience going to sleep again, the prison cultural group was recalled, this time they came with a ritual ‘ raising the dead’ in a drama. The audience took to their feet, cameras and phones were up everybody struggled for best shoot, the scenes were seen real. Other prisoners sat in behind scene while singing in prayers as if the dead should hear before raising up. One of the organisers and co-founder, Sylvester Kalizang’oma said the event has been successful one. ” Despite many didn’t come for the show, it was very successful, what matters to us was the launch and it has just has happened. ” Not all poets who were invited came but that didn’t change a thing, they have chosen not to. 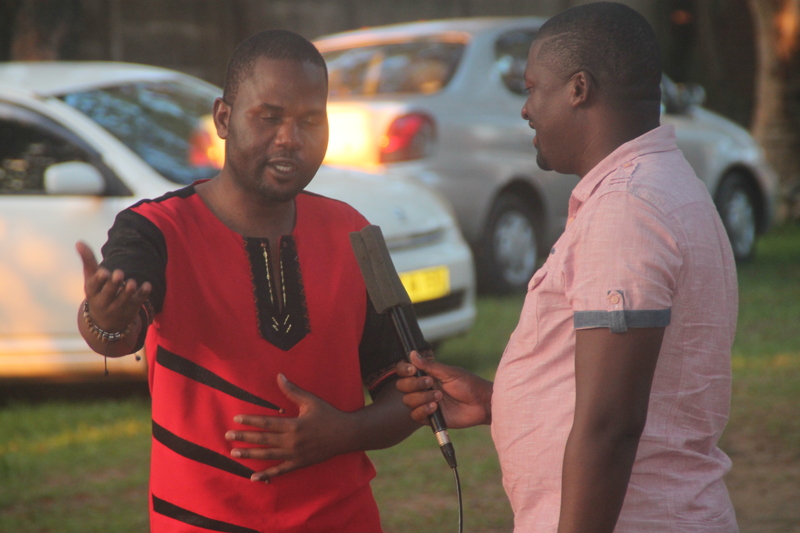 We continue to organise this event every year, especially in a month of July,” Kalizang’oma optimistically said. And certain man who attended the launch, disclosed his name as Millius Fountain said the event was well organised and asked that it should come every year.